I was curious which Instagram accounts were appealing to my closest friends and family (friends and family Instagrams do not count). One great thing about Instagram (owned by Facebook) is that while it is a social networking app, there’s little or no interaction required. One looks at the posts and can comment only if moved to do so. It’s quick, easy, fun and informative. This is a very informal survey, and I was happily introduced to several new Instagram accounts I am now following. With any luck, you might be as well. Beladorajewelry is a wonderful online source for designer and estate jewelry. They have been in the business more than 30 years, first at Christie’s and now in office on Rodeo Drive in Beverley Hills. 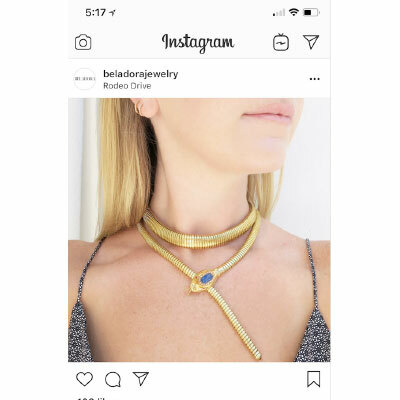 They created their online store to relieve jewelry shoppers of the ‘pretense and discomfort often associated with jewelry buying in stores’. I personally couldn’t be more appreciative! I also love browsing their site so check out www.beladora. com. Whiskedbycate – If you happen to live in the Charlotte area you must order delicious and beautiful cakes and cookies prepared by Cate Gutter. She is a master chef and designer. If you don’t live nearby, enjoy her pictures. Whitehall events –Amy Hardisty is the owner, and wedding planner extraordinaire. She is a one-woman show and works from her home in Poughkeepsie, NY. She travels anywhere. Wedding Insta pics are terrific and stimulates great ideas if you are in wedding planning mode. She is amazing with the details and fun too! Fabfoodfiesta– My good friend Wendy’s daughter has a fabulous Insta site showcasing different incredible foods from restaurants around the country. It is sooo cool and will make you hungry. Dreamers_coffee_co – Please don’t miss this. 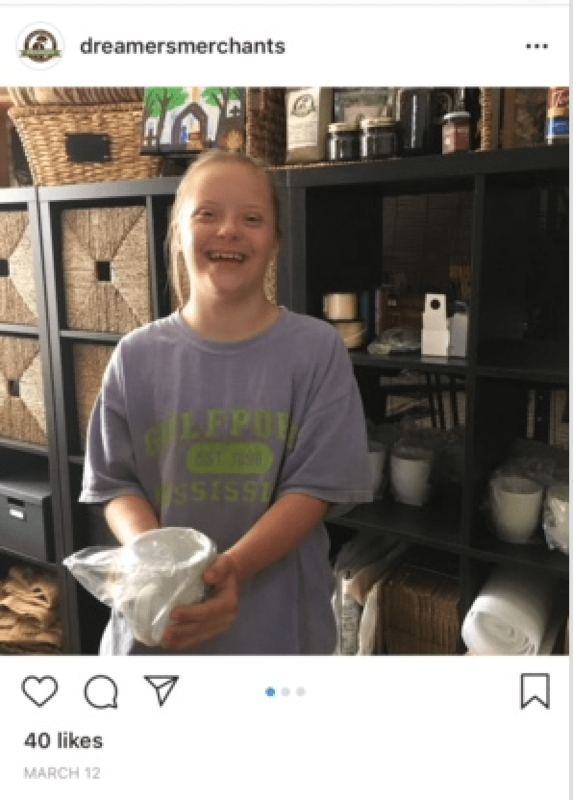 Dreamers Merchants Coffee Co. is a coffee company that supports and employs young people with disabilities and Downs Syndrome. personalized.nutrition – Amy MacKenzie is a nutritionist in Naples FL. She posts a photo and recipe every day and they are beautiful and inspirational. And hfbarranch is one of the oldest dude ranches in the country and one we went to. It’s in Wyoming and their posts are very evocative of the West and the free range. Beautiful photos and not that self-promoting. Makeitworkmomma is a great exercise site for pregnant mothers and she does routines that can be done while taking care of kids. Decorating sites: Charlotte Moss, Bunny Williams & John Roselli are all wonderful. I also love National Geographic. Iconaccidental comes from a very elegant older lady living somewhere in downtown NYC. The Rozalia Project protects the ocean through their New England coastal expeditions aboard the sailing research vessel American Promise. They use technology and STEM programs, innovation and solutions-based research. napkinapocolypse is a young mother with a great sense of humor and a wonderful photographer. Ojai Raptor Center is a wildlife rescue and rehabilitation center serving Ojai and Ventura, Oxnard, Santa Barbara and beyond. Food52 is a cooking community with great recipes, an amazing kitchenware shop and travel articles. Zaria Forman who documents climate change in pastel. Her Instagram feed is Zarialynn . 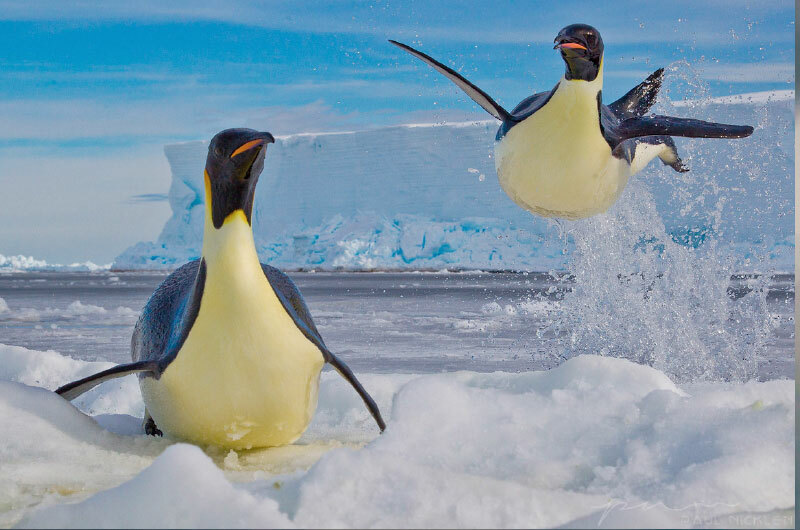 Paul Nicklen is a Canadian photographer, filmmaker and marine biologist who records the earth’s beauty as well as the changes due to global warming. 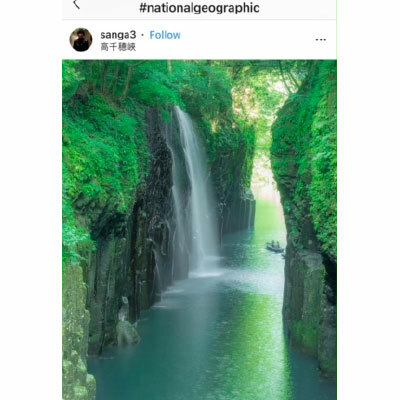 He works for National Geographic. 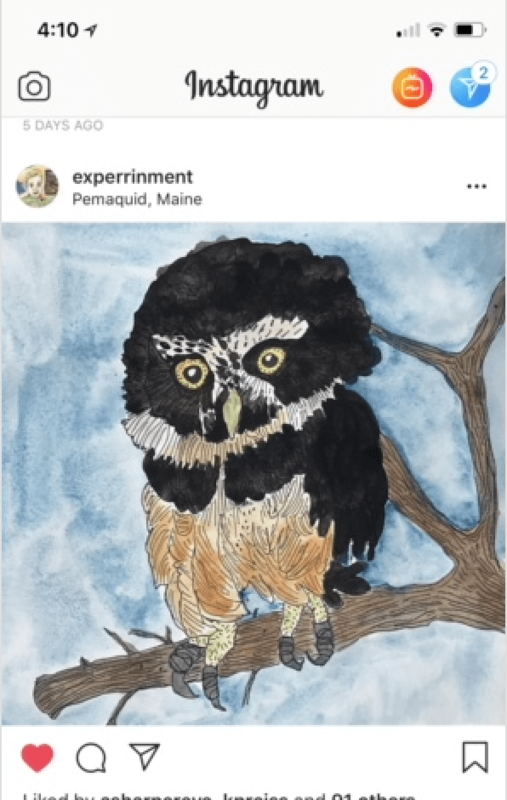 Experrinment is a creative and fun Instagram feed. The writer is a science illustrator for NRDC and her style is appealing. Ashleyfoxcollection is a collection of bold pieces of jewelry made from a variety of materials including gold, horn, mother of pearl, carved onyx, coral and diamonds. Asharpereye – you would wonder if I didn’t follow Ginny’s and my website, wouldn’t you? It’s getting better and better! Subwaybookreview are photos of subway riders and what they are reading. See our ASE article. 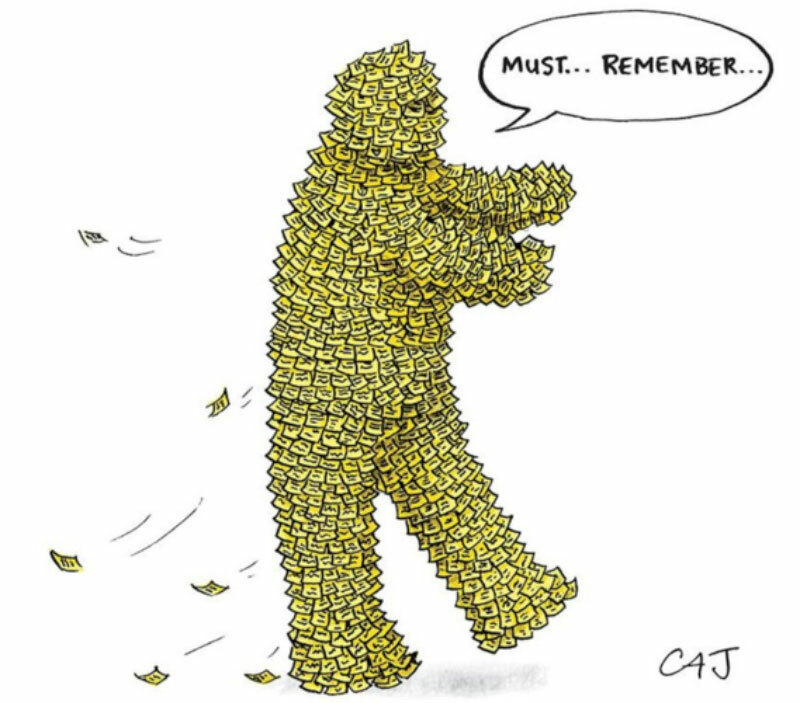 NewYorkerCartoons sends several new cartoons every day. Most make me smile and a few get me laughing. HumansOfNewYork always includes a photo of an individual and the sincere story that person wants to tell.See ASE article. JoonHanJewelry – My friend Joon has been designing and selling jewelry for years and she is taking her business to the next level. She posts unique designs every day. MMLafemme is posted by the fashion brand, MM LaFleur. It chronicles the iconic, interesting women they interview. DailyOverview posts one amazing image each day from the perspective of the sky.